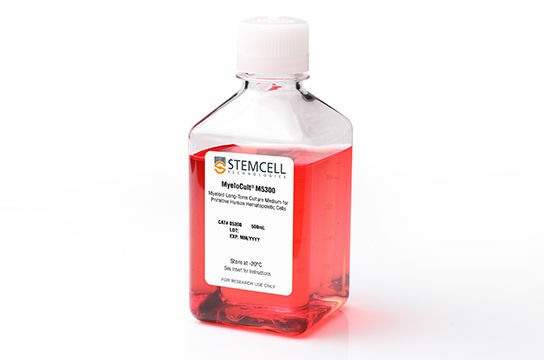 MyeloCult™ media have been developed for the long-term culture of hematopoietic progenitor cells in association with adherent stromal cells. 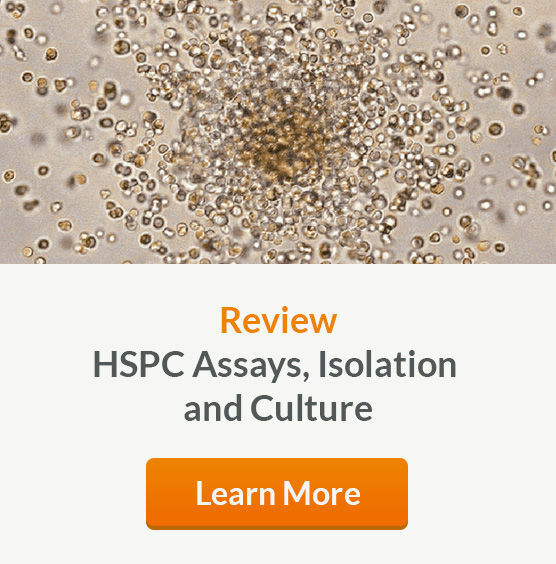 An important application of MyeloCult™ is the quantitation of primitive hematopoietic progenitor cells in the long-term culture-initiating cell (LTC-IC) assay. 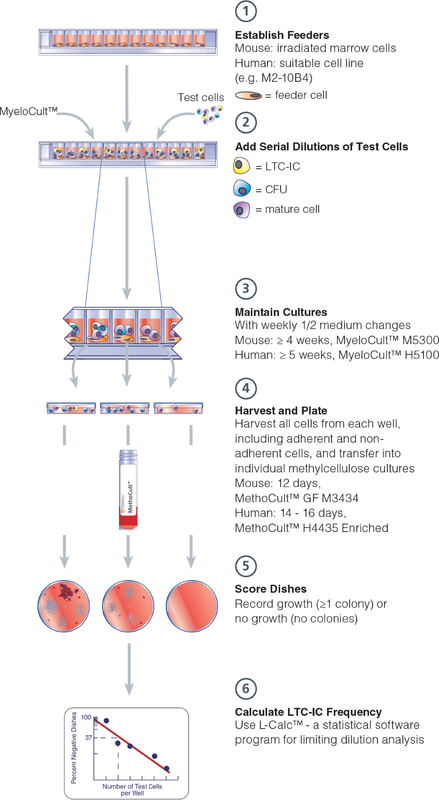 In this assay hematopoietic cells are cultured in MyeloCult™ medium with supportive human or mouse stromal cell layers and tested for their ability to generate myeloid clonogenic progenitors for several weeks as assayed by replating the cells in a colony-forming unit (CFU) assay using MethoCult™ medium.